Brazilian footballer Pele is regarded as the greatest player ever and in 1999 was voted World Player of the Century and joint winner of Fifa Player of the Century. Pele represented Brazil at full international level at 16 years old and is the only player to win three Fifa world Cups in 1958,1962 and 1970. 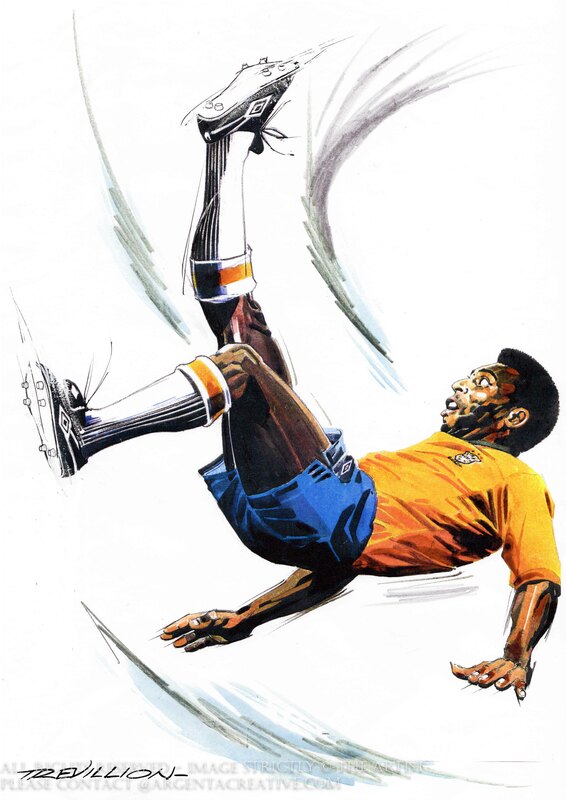 Pele is still Brazil’s record International goalscorer with 77 goals in 92 games. Since retiring from football in 1977 Pele has been a worldwide ambassador for football and also featured in the Film Escape to Victory.